Moving services, storage services ads in Brisbane. Thank you for visiting our free advertising website Moving services, storage services, Brisbane section. We provide high response free classifieds and free advertisement. Use our online free Moving services, storage services classifieds placement system to find, list, offer Moving services, storage services online! Are you looking for Cheap Movers in Brisbane or cheap house movers in Brisbane, Our CHM can guarantee professional and local service at your door steep anywhere in Australia. Book your move via calling at 1300 138 259 and relax. Our expert movers team can complete the remaining process. For more details visit at https://urlzs. Wallace International is a professional international freight forwarder and corporate customs brokerage with offices throughout Australia, handling all facets of international trade, landside logistics, warehousing and transport. Address: 130 Riverside Place Morningside, Queensland 4170 Australia Phone: 07 3212 7233 http://www. 1800 Removals have over 30 years removals experience, with 1000’s of satisfied customers. We provide a reliable, regular weekly transport and delivery service Australia wide, via road or rail. Our large modern fleet of trucks not only service all capital Cities but coastal, regional and rural towns. Bris-Skips provides skip bin hire to commercial and residential customers within Brisbane and surrounding suburbs. We have bins ranging in size from 2 cubic meters up to 12 cubic meters at competitive rates. We are also accredited to supply bins for disposing of Asbestos. Visit our website to find out more about ordering skip bins. Peter Rabbit Removals provides specialised removal services which includes piano removal, spa removal and pool table removal. Our heavy duty trolley is used for the same with sufficient padding and cardboards. Heavy removals require professional techniques and personal care and this is what Peter Rabbit Removals provides you at every steps. House Packers Brisbane is one of the leading moving companies all over Brisbane. We understand that every move is as unique as you are. We offer services in: Removals Packing Unpacking Organization Cleaning & More! Whether you are moving to a new house across town, or you are transferring to the other side of the country, you can highly depend on us. 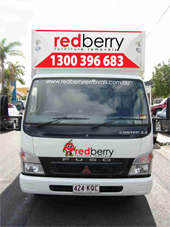 The Best Local and Interstate Removalist Service in the Greater Brisbane Area. Elite Removalists Brisbane is a family owned and operated professional removals business offering services at cheap rates. We offer services in: Home Removals Commercial Removals Office Removals Furniture Removals For inquiries, visit www. Box Em Up provides economical solutions for the purpose of packing and moving. We offer storage boxes in various dimensions and shapes, for sale in Brisbane. 383 Trouts Rd McDowall QLD 4053 Australia 0411 676 626 roxann@boxemup.com.au Brisbane. Looking for Storage Brisbane that is affordable and secure? A1 Budget Self Storage designed and constructed to provide you with maximum security and peace of mind, some of the features Storage Brisbane includes: •8 years claims free, no break ins, no floods, business and private goods stored safely. •Onsite resident manager. •Thick reinforced concrete construction (not tin). Moving house can be stressful and daunting, but worry no more My Local Mover got what you need. With over 14 years’ experience in the Brisbane moving market, My Local Mover is here to help make your upcoming home move easy and professional. Along with their local moving services, they offer you packing services, quality moving boxes, plastic covers, packing paper, a moving house checklist and much more! My Local Mover offers a range of services designed to help you move. 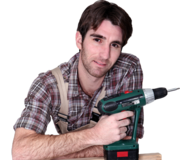 If you are looking for an office removalist in Brisbane then Your Local Movers is the solution. Your Local Movers has helped move many offices in Brisbane. We are the movers Westfield trusts to help them move around the large centre pieces you see in their shopping centres. We also provide IT support to ensure a smooth set up in the new premises. Going on a long term work or leisure holiday? We have a secure warehouse for long term storage in Brisbane available for your goods! You can store your goods in our secure storage warehouse for as long as you need! We have bonded security– which means only Your Local Movers staff members are able to access it. 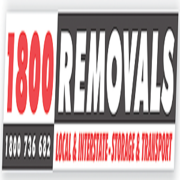 GC Removals is a family owned and operated Gold Coast based removal company. We specialise in home, unit, high rise and office relocations. 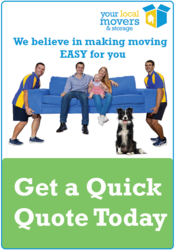 Call (07) 55925228 for a free quote..
House Packers Brisbane is one of the leading moving companies all over Sydney. We understand that every move is as unique as you are. Whether you are moving to a new house across town, or you are transferring to the other side of the country, you can highly depend on us. For inquiries, visit www.housepackersbrisbane. Service Central is the best way to find the Brisbane removalist for all your moving needs..
Gold Coast Removals is serving their customers for more than 25 years and have achieved great client satisfaction with their on-time and secure delivery options. Our team of experts are well experienced in safely packing all your household goods in a single trip. We also do offer in transit insurance for your convenience. Moving house or office in gold coast? Now sit back and relax and let us take care of the worries, Call Goldcoastremoval, we are the leading professional and faster removalists into the Gold Coast. Hire today affordable and trouble free furniture removal service by us. Our office on 07 5572 9808 or more to visit us at http://www. Are you moving your house or office and finding experienced Gold Coast removal then no need to worry we have more than 25 years of experience with most reliable team of professionals. We care for your cherished possessions as if they were their own, and aggressive rates. It really does not matter whether you are moving across the Gold Coast. 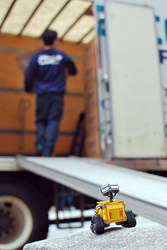 Looking for a most reliable and experienced gold coast removal firm that covers the whole truck. Need not worry about when you are thinking of moving your office and house. We have more than 25 years of experience with most reliable team of professionals. Give us a call (07) 5572 9808 or visit our website for more information. CBD Movers is a fastest House Movers in Brisbane, Melbourne, Perth & Sydney, Stress free experience. Trained Staff. Moving your house can be a draining experience both emotionally and physically upon that House moving need to be done with more care and safety. Whether you are moving apartment, townhouse or a house or downsizing or up sizing your house, we are best packers and movers just a phone call away to serve you with excellent house removal services. 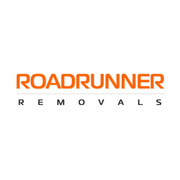 Roadrunner Removals are a Brisbane based removals company providing relocation services to individuals, families and businesses. Whether you’re moving locally or interstate you can count on the team at Roadrunner removals to provide a reliable removalist service. Removalists Brisbane Removals Brisbane Removals Truck Hire Packing & Unpacking Brisbane Queensland. The main concern of our company is safety and security of our client luggages and also the whole procedure of moving is discussed with our customers..
STQ Transport Australia offers to its customers the best Local Freight Services in Brisbane through its fleet of heavy duty palletized trucks, forklifts and minivans at the best price..
Redberry Furniture Removal’s head office is located in Brisbane. We currently service all areas from metropolitan Brisbane, Brisbane north, Brisbane south, Brisbane east, Gold Coast, Ipswich, Brisbane west and the Sunshine Coast. In addition to this we also service Melbourne and Adelaide. Our Removalists are 25% Faster than other furniture removals companies. Professional movers Brisbane are known to provide moving services for people in need of help packing, handling and transporting their furniture or other items from their old place to the new one. Secure, organized and safe handling of your items will bring you less stress and more peace of mind during the process of moving. We have ONE tonne Caged UTES , VANS and THREE tonne TRUCKS available to HIRE from $59.00. Also FRIDGE Trolleys @$22.00 per day. Plus ropes to buy if you need them. 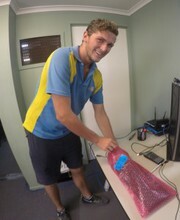 CALL NOW 073277 4668 or check www.phdrentals.com.au. Removal Boxes and Packing items for your Moving and Storage Needs. We sell Removal Boxes and Packing Items for your moving and Storage Needs. Before you get your boxes from a Removalist or Storage place. Visit our website and Compare Our Prices and Save. We even buy back your boxes when you have finished your unpacking ( Brisbane Metro and Pine Rivers only for buy back only) We stock the following : Strong Archive Boxes. Approx. 3m3 of packed boxes containing personal belongings required to be moved ASAP from Woodridge, Brisbane and delived to Werribee, Melbourne. Quote required....please phone Peter on 0407-337-385 ....Immediate pick up preferred. Thanks, . Do you need backloads or only a few items to move? Have you got backloads to move? We can help you! National Backloads provides a register for all transport companies to use, anywhere within Australia. You simply register your available backload or need for a backload and we do the rest. You can send us your requirements via email, text message, telephone or our website and we will endeavour to find a match for you. Australia free ads for Moving services, storage services, Brisbane, Moving services, storage services free ads Brisbane, Moving services, storage services for sale Brisbane, Moving services, storage services to buy in Brisbane. 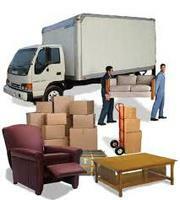 Find on this page free classifieds for Moving services, storage services in Brisbane. This listing includes classifieds for sale and to buy in Brisbane. FREEADSAustralia Brisbane offers you a platform to post free advertisements or classifieds for Moving services, storage services in Brisbane. FREEADSAustralia helps you search, find buy, sell, rent or hire in various categories like apartments, goods for sale, local services, cars , jobs and many more in Brisbane. If you posted an advertisement in category Moving services, storage services of FREEADSAustralia Brisbane before please use Edit my ads button to change or cancel your ad. 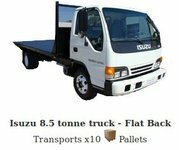 Moving services, storage services Brisbane ads Brisbane, Moving services, storage services classifieds Brisbane, Moving services, storage services free ads Brisbane, ads for sale Brisbane, ads to buy Brisbane, FREEADSAustralia. Find here ads for sale, to buy and rent in Brisbane. Goods for sale in Brisbane, vehicles for sale in Brisbane, Brisbane real estate for sale, Brisbane property for sale, property for rent in Brisbane, business ads in Brisbane, Brisbane business classifieds, services in Brisbane, Brisbane services ads, jobs in Brisbane, pets for sale in Brisbane, Brisbane dating, Brisbane cars for sale.